There are six key methods used to evaluate projects and decide whether the company should accept them: (1) net present value (NPV), (2) internal rate of return (IRR), (3) modified internal rate of return (MIRR), (4) profitability index (PI), (5) payback, and (6)discounted payback. Each will be explained and evaluated as follows. 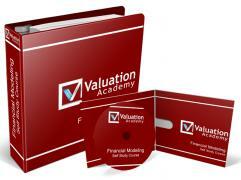 The most important evaluation method for capital budgeting is the project’s net present value. NPV is the sum of the present values of all expected cash flows if a project is run. Since NPV equals to $147.12 which is greater than zero, we accept this project. If the NPV is less than zero, which means the project is lose money, we should reject this project. A positive NPV project means the firm will gain money in the future, a negative NPV project indicates a loss for a firm’s investment, and a zero NPV project has no effect on shareholders’ wealth. Independent projects are the projects that are unrelated to each other. For example, if project A and project B are independent projects, and both of them are profitable, then the company will accept both of them. If the project is mutually exclusive, then the company should choose the one that has higher NPV. Mutually exclusive means that if one project is accepted, the other must be rejected. IRR (internal rate of return) is defined as the discount rate that makes the NPV equal to zero. The concluded IRR is 17.80% (using a financial calculator). Since the IRR equals to 17.80% which is greater than cost of capital (10%), we should accept this project. If the IRR is lower than the cost of capital, we should reject the project.